In late 1918, there were many Latvian refugees and former soldiers in Estonia. As fighting against the Bolsheviks started, the Estonian government wanted to mobilize them. On January 20, 1919, in the interests of the Latvian Provisional Government, Latvia's military representative in Estonia Jorģis Zemitāns concluded an agreement with Estonia over setting up six self-defense companies. 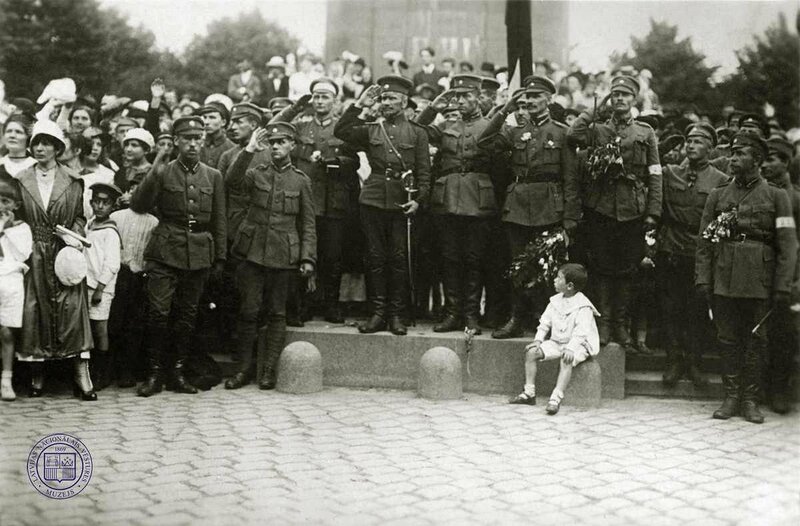 On January 26-27, 1919 the first conscription calls took place in Estonia and the liberated Northern Latvian parishes. 757 Latvian soldiers were recruited, with another conscription taking place in late February, adding another 1,500 soldiers. While the initial plan was to set up a single battalion, there were enough people to form an entire regiment instead. It was named the 1st Valmiera Infantry Regiment. From January, there were more soldiers in Northern Latvia than there were in the Courland front. In many ways, this was because the Estonian government had a more favorable outlook against the Latvian Provisional Government and its armed forces, as opposed to Germany and its representative Rüdiger von der Goltz in Liepāja. In spring 1919, Northern Vidzeme was the main front of the Latvian Independence War. There, the Red Army had concentrated its main forces, about 50,000 men (there were thrice as few of them in the Courland front) with 588 machine-guns and 97 cannons. The Latvian and Estonian forces against them were significantly smaller, with no more than 30,000 soldiers in the Estonian infantry divisions and the Latvian regiment (it later became a brigade). It was here that both parties suffered the largest losses, with the most bloody battles fought in Rūjiena, Valka, and Alūksne. The success of the Estonian Army in early January practically saved Liepāja from falling into the hands of the Bolsheviks. 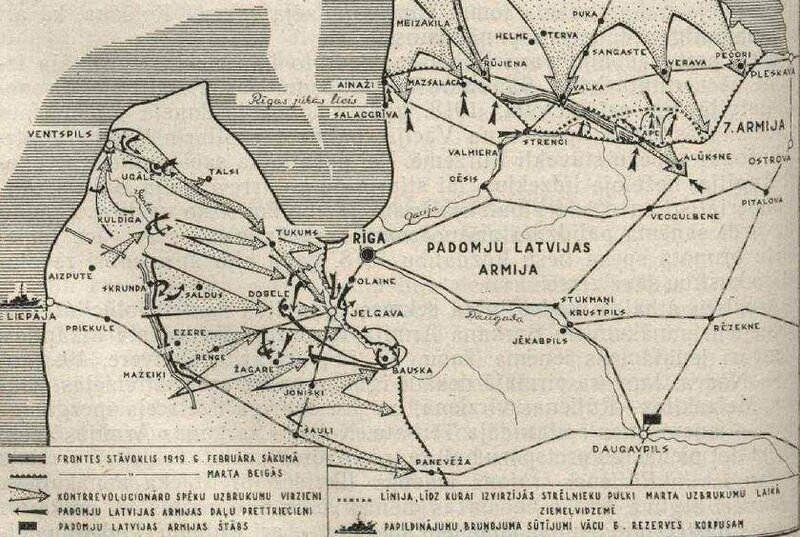 Meanwhile Estonian advances on the way to Pskov made it significantly easier for the Landeswehr and the Iron Division to free Rīga on May 22. After three weeks of intense training, on March 27, 1919 the 1st Valmiera Infantry Regiment went to the front to fight the Soviet Latvian army in the vicinity of Ape. Within just two days, they fought their first bottle. There were 1,256 soldiers with 5 heavy and 8 light machine-guns. Most of them were dressed in civilian attire. Despite insufficient equipment, the Valmiera Regiment fought fierce battles against the Red Latvian Riflemen and parts of Russian regiments. With their presence on the front uninterrupted, the 1st Valmiera Infantry Regiment lost 168 soldiers that died or were wounded; a further 58 went missing; and 108 became ill. This amounted to 28% of the initial head count. In addition to commander Jorģis Zemitāns (1873-1928), one should also mention Voldemārs Ozols (1884-1949) as a colorful and legendary character. At the Caucasus Front during the First World War, he organized Armenian volunteer units and led successful battles against the army of the Ottoman Empire. 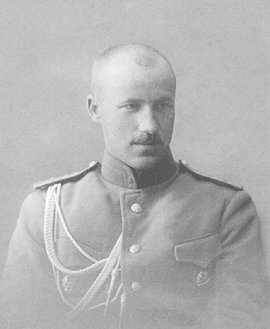 After joining the Latvian Riflemen Regiment, Ozols became the head of the 2nd Latvian Riflemen Brigade and partook in planning the Christmas Battles. In 1917 he was elected the head of an executive committee overseeing the Latvian Riflemen regiments (this would later be used by his opponents to serve as proof of his sympathies against the Bolsheviks). He was a proponent of the idea of setting up a corps of Latvian Riflemen and wanted to form a regiment of Latgalian riflemen. After the Republic of Latvia was established, Ozols tried to join the armed forces of the Provisional Government, but was arrested in Liepāja in January 1919. To escape further trouble, Ozols went to Estonia. He was on good terms with Johan Laidoner, head of the Estonian army, and was accepted into service. He was made head at the HQ of the Northern Latvia brigade; he planned battles and later on operations against Bermondt's army in fall 1919. Having many opponents in Latvia, in 1921 he continued military service at the Lithuanian Army headquarters, taking part in the Lithuanian-Polish conflict. After returning to Latvia in the early 30s, Ozols was again arrested under suspicion of planning a military coup and was then deported. In the late 30s he participated in the Spanish Civil War and was the leader of the Soviet intelligence service in Paris during the Second World War. After the war ended, the adventurer returned to Latvia and became a professor of Geography. Read more about the role of the army in securing Latvia's independence in a feature by historian Roberts Rasums.